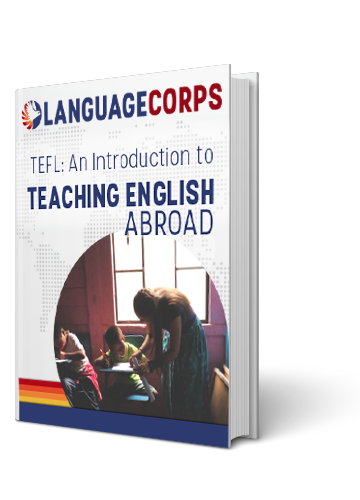 Today we introduce a guest post from Val, who signed up to Teach English Abroad through LanguageCorps, and is currently living in China. Do you Teach English Abroad and have a blog or story you’d like to share with us? Shoot an email to info@languagecorps.com. We’re always looking for guest writers! There are many characteristics that the international traveler tends to have in common. They are typically adventuresome, adaptable, open-minded and independent. But there is one characteristic that you must have and continue to build as you travel, live and/or teach abroad. You must trust. Trust the people around you, trust the systems and structures man has built there, and you must trust yourself. As a foreigner living and teaching in China, I can’t count the number of times when I’ve been faced with the option of submitting to panic and paranoia, or allowing myself to simply let go and have faith that the situation will be ok. And so far it always has been. When you trust, you will be rewarded with some incredible sights, experiences and revelations. I come from America, the land of the free and the home of the lawsuit. Everything is clean to the point of being sterile, and nothing can be built if it is not up to safety standards. This can be a wonderful thing because it prevents unnecessary injuries and deaths, but on the flip side, things in China are often built with seemingly no standards at all, and as a result you get to go places and see things that would never be possible in many other countries. In Huangshan (Yellow Mountain, Anhui province), paths are built into vertical sides of the mountains, are incredibly narrow, the steps are uneven and uncomfortably steep, the railings are too short and the drops are often sheer and lethal. But the views are beyond words or pictures, and the experience of seeing it in person is something you will never forget. And that’s just one example. When walking on those paths, or visiting the highest observation deck in the world in Shanghai, or riding in cars, buses or trains on the various roads and bridges built around the country, you are putting your life in the hands of the men and women that built or operated these things. Again, the rewards for your trust will be worth it. The adrenaline rush after surviving a crazy ride. The time you save from going on the fastest train in the world. The complete and utter sense of awe you get when standing on the longest bridge in the world, the longest wall in the world, the biggest damn in the world, or whatever marvel of mankind you happen to be visiting. And perhaps the greatest reward for your trust is the simple ability to be able to look back and say, “I did that.” But aside from just trusting the things that are built by man, you must also trust the men and women who are living all around you as well. There will be times when you need help. Maybe you’ll get lost. Maybe you’ll get sick or injured. Maybe you simply want to find something really good to eat. Whatever the reason, there will be times when you will look to the people around you for guidance. Some of them will turn away, but others will literally grab your arm and ride an hour out of their way on a bus with you to make sure you get off at the right stop. Above all, you must trust yourself and trust your instincts. If you make the decision to teach English abroad, you may face some tricky situations. I was given nine classes on Saturdays and twelve on Sundays on top of my Monday, Wednesday, Friday classes. I thought it would drive me nuts; instead, it drove me to work harder. It taught me that pushing the limits is part of the learning process, and that it’s kind of interesting to see how far you can go or how much you can take. Another odd example was one time when I was in charge of the “Fruit Salad” activity during one of the parties at school. Groups of 10 – 15 students would come to my classroom and we would all cut up the fruit and put it in a bowl, add some dressing and then enjoy. Though the end result was delicious and the kids’ reactions were delightful, I was admittedly terrified at the idea of having to supervise five different groups of small children brandishing sharp knives. But the kids trusted me, their parents (who were watching through a window) appeared to trust me, the Chinese teachers who thought up the idea trusted me. So I went with it, and eventually the evening finished with nobody getting so much as a scratch. Starting out as a teacher I was weary and uncertain, but these types of experiences forced me to test my faith in myself, and it is such a rewarding feeling to really learn to trust in your own abilities, step up to the plate and really see what you are capable of. Mother Theresa once said, “I know God will not give me anything I can’t handle. I just wish he wouldn’t trust me so much.” Whether you are traveling, teaching or just living abroad, there will be times when you feel overwhelmed, nervous and uncertain. Those are the times when Fate is challenging you to have a little faith. A little trust in others, trust in the system, and a little trust in yourself can go a long way. A lot of trust can go a lot farther, and it will take you to some of the coolest places and give you some of the most incredible experiences in the world. I am pursuing a career in teaching, and as the first step towards achieving that goal, I decided to Teach English Abroad. I am currently living and working in Huangshan, Anhui, China. I love traveling and writing, so I figured I may as well document this incredible experience to the best of my ability. For more of my writing check out my blog at http://valschina101.blogspot.com/. Hope you enjoy!